Lizy making one of her lovely dream catchers. What a truly incredible year, I didn’t ever expect to have so many amazing adventures jam-packed into what turned out to be the best festival season of my whole life. Of course it hasn’t been without its trials and tribulations but when I think about the overwhelming joy that bubbles up in my chest every time an after-video is released… I am reassured it was all worth it in the end! Throughout this summer I have been able to explore all avenues of the festival décor realm, switching between more managerial roles, project co-ordinating and behind the scenes admin work. To volunteering, grafting and being part of incredibly tenacious teams who are all working and donating their blood, sweat and tears (believe me there have been all of them) in order to realise their passion projects. Of course on a total selfish level this is pretty much one of the most self-rewarding jobs you will ever have. I see my work, my designs, my creations and the creations of others that I simply helped facilitate be enjoyed by hundreds if not tens of thousands of people. It’s humbling to know that many of these festival goers will only do one festival to get away that year. People have chosen to spend their hard earned money (come on we have all seen it over the years, prices are going up, hence why we help the joy go up too), but its true, spend their money on a magical get away. A hedonistic escape from real life, into a life that we created for them. Without a doubt working my way up to the role of Assistant Art Director for Noisily Festival has to be one of my proudest achievements, definitely of this summer, but possibly of forever. The thing is, with work like this, a lot of it does ultimately come down to self-belief… Yes, I have gained a lot of practical skills throughout my degree, and throughout various residencies and décor jobs I have had in the past. But when you are suddenly the responsible one, and it’s you everyone is turning to, to ask what to do next, what is still to be done and how can they be useful, it really is a sink or swim moment. Noisily made me realise things within myself that I actually didn’t know I was capable of, it pushed me to my very limits but always caught me when I fell. My incredible team of volunteers often worked throughout the night, to make sure what we created was of the upmost sublime. This role was also the biggest behind the scenes one I had, learning eventree from scratch, learning about production schedules, scaffolding, dietary requirements and all sorts of admin skills that have gone on to benefit me two-fold throughout the rest of the season. Ultimately though, there is something so breathtaking and utterly joyous about walking down the main strip, smiling to yourself about how perfect everything looks (and how jammy we are to actually get 5 days of solid sun), then to have shiny happy festival goers come up to you, to thank you for all your hard work… It was a bit bizarre to be a tad famous for five days, but incredibly heart-warming. WOW. I literally don’t even know where to begin on this one. It was such an absolute pleasure to be part of the creative team for the last ever Secret Garden Party. Being part of this was both heart breaking and made me incredibly proud simultaneously, but its funny to think that something as simple as a beer on a roof, in another country back in January set the cogs in motion to make this all possible. Maybe one of my cheeriest moments this summer was knowing that I physically helped to create parts of the last chapter for this unforgettable festival. Literally creating a moment of festival history… Things are not meant to last forever, and boy did garden go out with a bang, in a literal blaze of heart shaped glory. 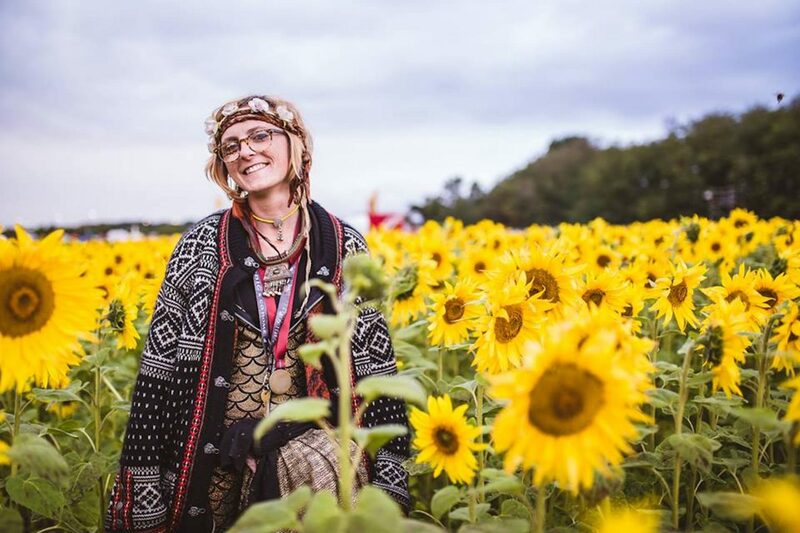 Lizy in the secret sunflower field. The best thing about this gig was being given free-reign, being an up-cycler and working with recycled materials I was bought in to have a scavenge and create new magic from old materials. Working for the utterly brilliant nments (non-musical entertainment) team whose trust and encouraging judgement to the end, without ever a question of my ability or hesitation really was something special… They simply had a vision, then they let me facilitate it. It really was an honour and a privilege to have such autonomy on such an important festival. Thank you for the freedom, the Spanish party and your unrelenting smiles even when we all had too much to do and not enough sleep. The Boomtown build this year was without a doubt one of the most difficult things I have ever done in my life. I know that sounds dramatic, but the unrelenting weather conditions from pretty much the moment I arrived on site just made everything so much harder. Luckily working on the Mayfair team I had the best bosses, practiced pros who know exactly what they’re doing and have probably done it all before. What made this process (although difficult, water logged and hard) one of my highlights for the summer is simply the incredible amount of generosity I received from the whole Mayfair team (especially the area managers) in sharing their knowledge. I like to think this was not just to help with efficiency, but because these people really care. They want to see you grow not only as a décor girl, but as an artist. The tips of the trade I learn over that week will stay with me throughout my career now, and I have already been able to put into fruition. So thank you, thank you for making me a better, well me? So as well as being a décor girl, last year I set about creating my own décor business, and this year I was able to put this to the test. 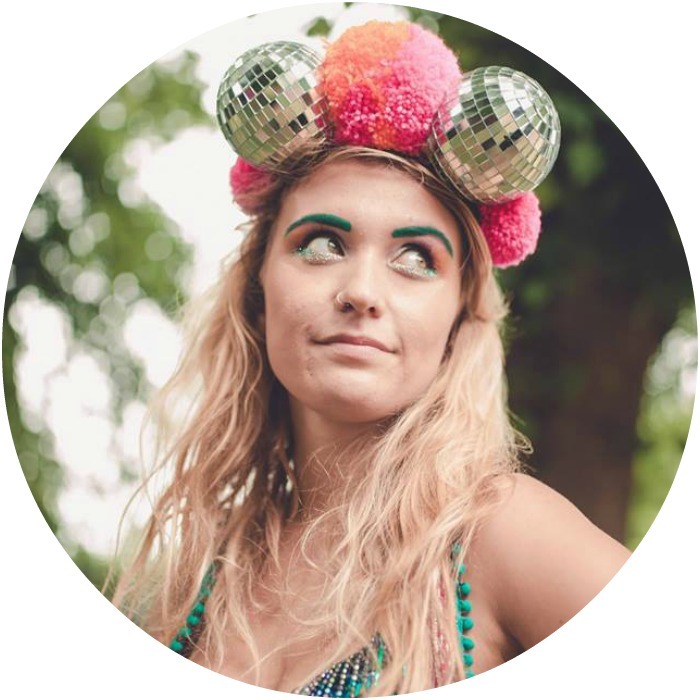 Welcome to the FeelFree Company, working with recycled materials to create beautiful things and also teaching festival goers a little about sustainability while I’m there. 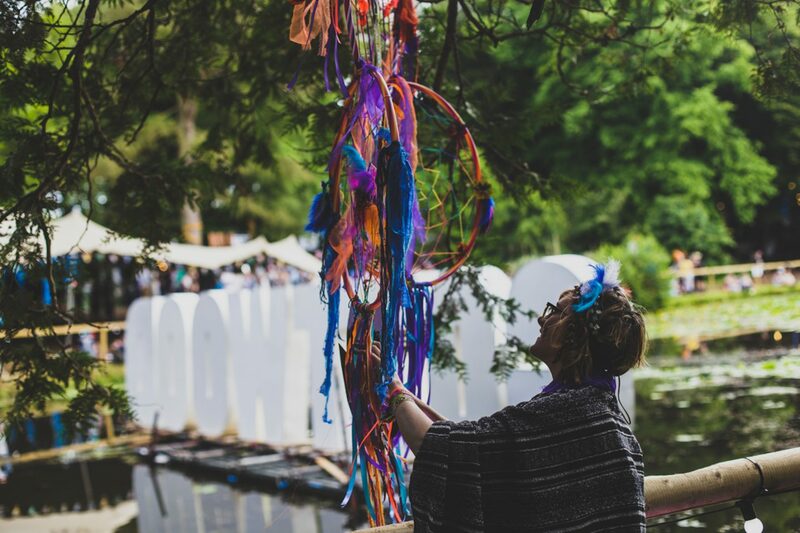 Through the FeelFree Company, I and my small but perfectly formed team work to create giant sustainable dreamcatchers, stretching up to 10ft long, that are suspended from tree tops within woodland getaways. All of my materials are always recycled, scavenged, reclaimed and re-loved to give them as small a carbon footprint as possible. Not to sound too ‘another man’s trash’ but it’s incredible what people throw away and how with a little bit of effort you can make something truly elegant yet dazzling, from literally rubbish. 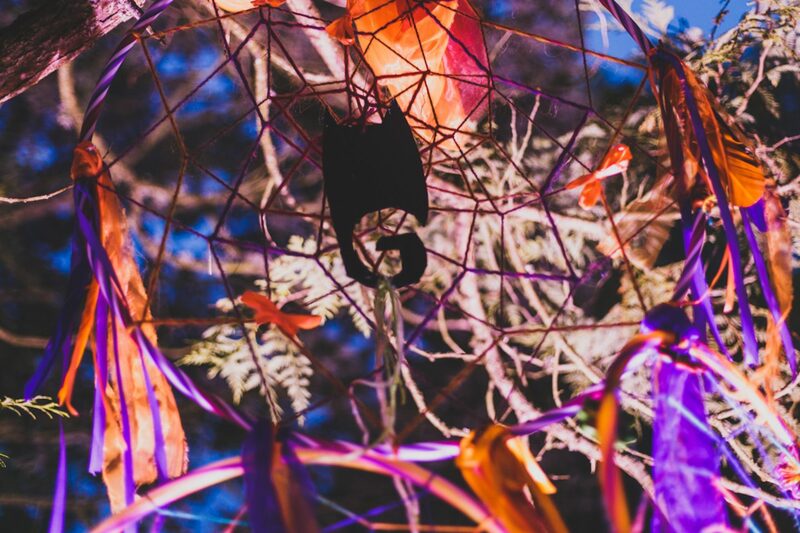 We debuted our work last year at Gottwood festival and have since had the absolute pleasure of being commissioned to make personalised pieces for Triplicity Festival, Aespia and Bestival. My pieces are always unique, bespoke and site specific, with personalised central pendants carved out of wood with the festival logo in it to give that added custom-made touch. 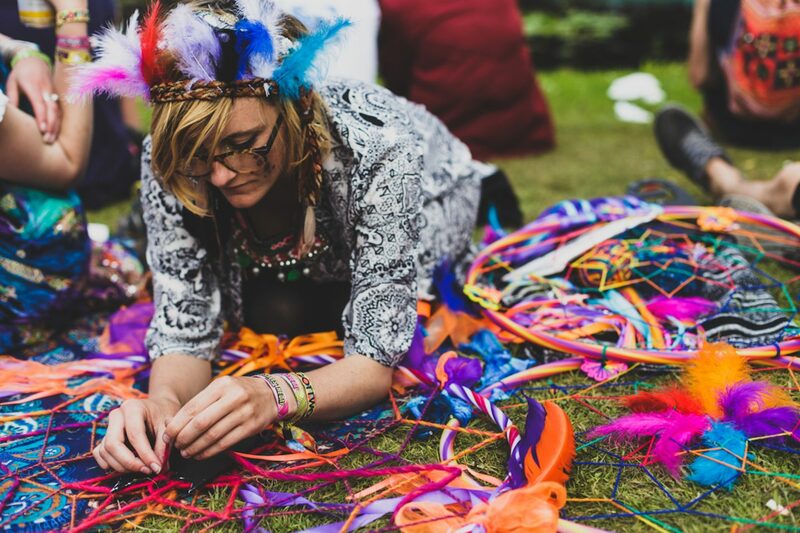 We also run free workshops with left over recycled materials so that punters can have a go at creating too, taking home miniature dream catchers of their own, whilst learning a little about recycled materials and sustainability along the way. I guess the penultimate and possibly most important thing I need to mention at this point, is the unforgettable people I have met across my décor explorations this summer. New friends, old friends, friends I met in India (like me!) who ended up becoming some of my nearest and dearest, they say there is seven degrees of separation and I truly feel like some of the people I have had the absolute pleasure of meeting this summer, were always meant to rush into my life like a whirlwind of perfect chaos… And I hope to keep them in my life for a very long time to come. The incredible warmth and welcoming nature of all the teams I have worked with have done miracles to restore my faith in humanity, (when let’s be honest it’s pretty dark times we are living in at the moment, not to bring politics into this but I’m sure you all know what I mean). 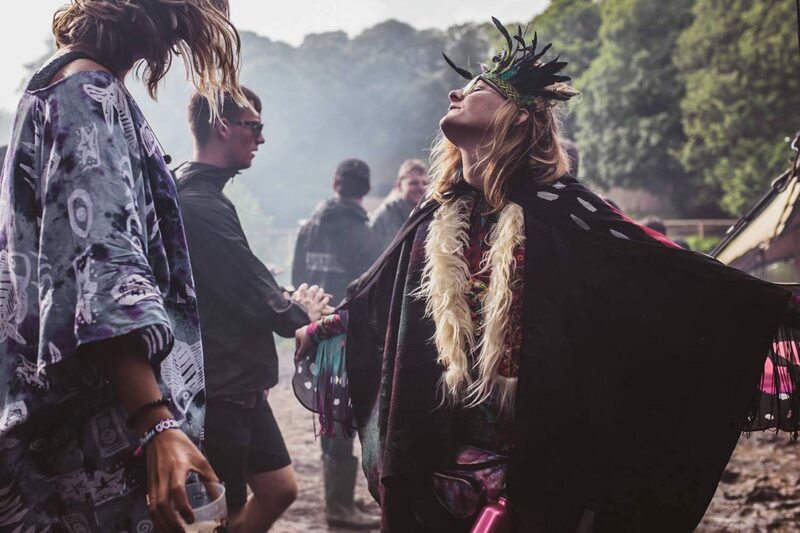 Sometimes even at the darkest times, it’s the glittery all singing, all dancing toe tappers that have taken me into their arms and festival families that have made my day… Or my year! So thank you, you know who you are! I think SGP really summarised it well for me when they said ‘what will survive of us is love’. THANK YOU. I really honestly mean it, thank you to every boss, every manager, every volunteer, every grafter, rigger and scaffer that made this summer inimitable. Thank you for those that gave me a chance, took a punt on me or even took orders from me. Thank you so so much for giving me the opportunity to learn, build, grow and giving me unforgettable memories all balled up in what has been the best summer I have ever had. 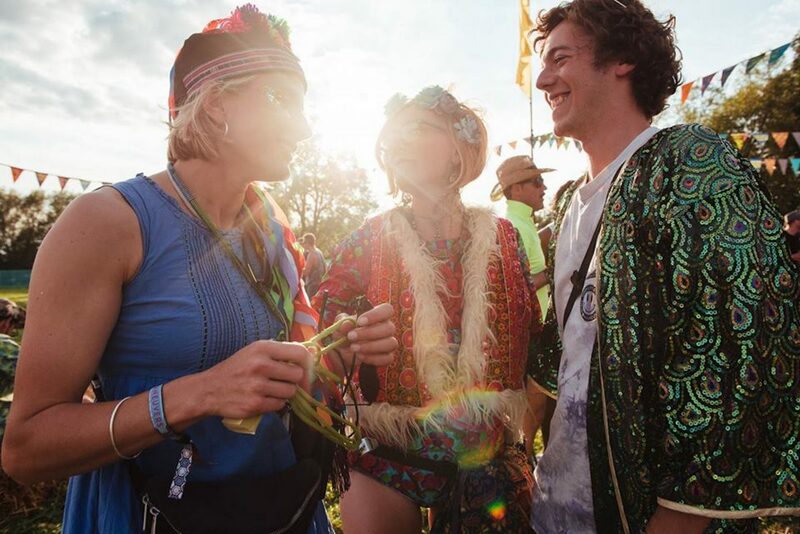 Have you ever fancied working at festivals? 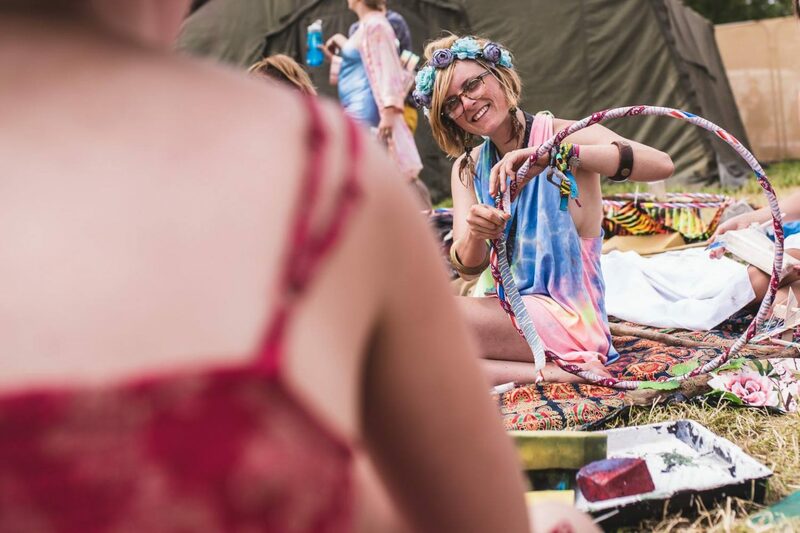 Check out our ultimate guide to entry level festival work here! Words by Lizy Bending, read more on her blog here. Photos by the wonderful Jake Davis.